The GCV Symposium is renowned for its high-level networking opportunities, with senior leaders from the industry. From informal networking over breakfast, coffee or lunch, to dinners and golf tournaments, this year you have a number of formal options to make more contacts and boost your network. A new feature at the GCV Symposium, this year we're providing delegates with the opportunity to take part in pre-arranged private meetings. Our new event app enables you to connect with each other, share contact information and pre-arrange one-to-one meetings on-site. This program is a valuable and efficient way for you to expand your network, and maximise your time away from the office. All ticket types and delegates are eligible for private meetings.You will be contacted prior to the Symposium with details of the event app, and how to participate. unwind together at the end of the first day of the event. 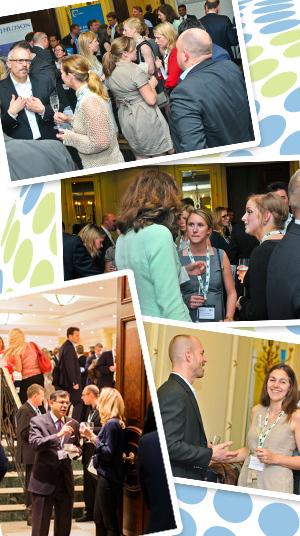 Join fellow conference attendees for our final drinks reception, as the GCV Symposium and GUV: Fusion draw to a close for 2015.
attendees from the conference as you play golf and take this opportunity to network.